Hey Everyone! Past Jess here letting you know that I'm out on a vacation this week (follow me on Instagram for shenanigans), but don't worry, I have videos and posts scheduled to go up while I'm gone. I couldn't just leave and not do something! I like keeping to a schedule lol. 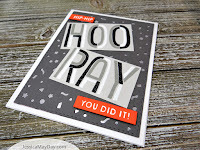 So today's card is all about celebrating graduates! 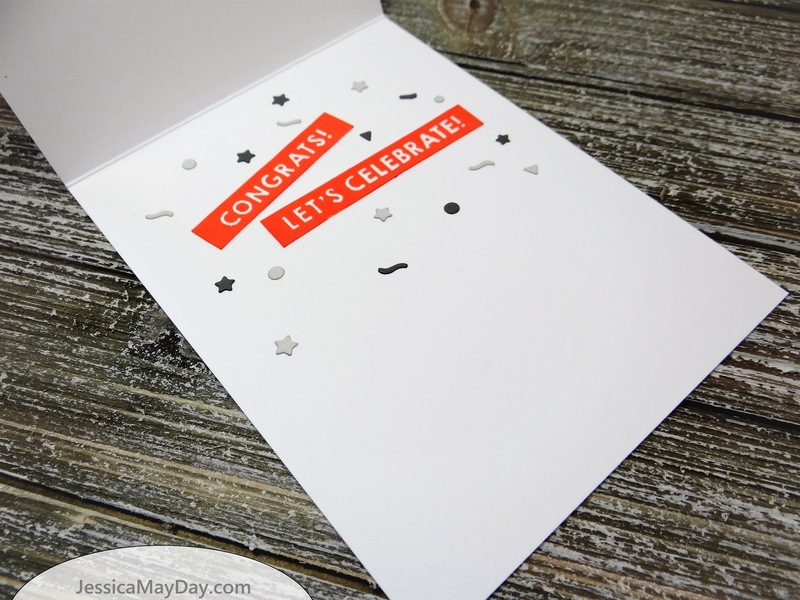 Either you know a graduate, you are one or if you are like me and just feel like making a graduation card, this card featuring Concord & 9th's Triple - Step Hooray stamp set might be just the thing to celebrate with! I think this stamp set is amazing and it's easy to align. 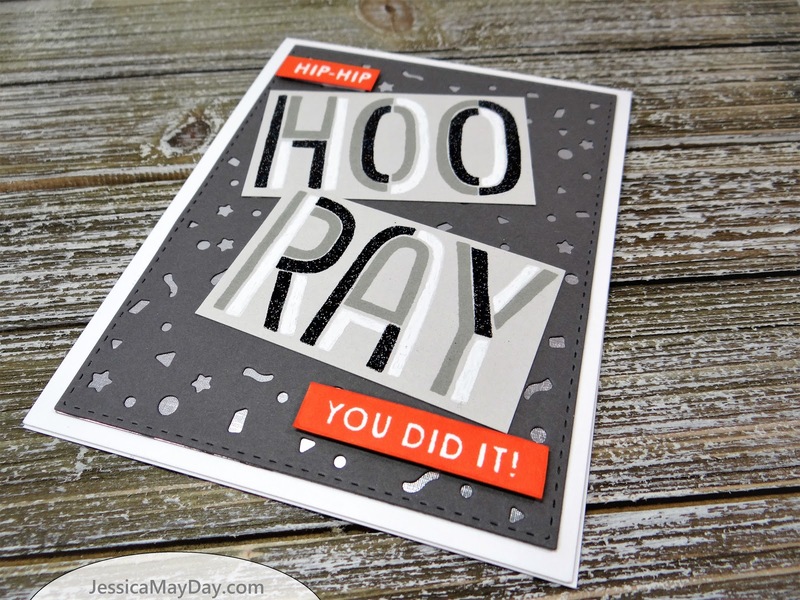 If you've got some skills you might be able to stamp it using "old school" acrylic blocks. But I'd rather go the stamp platform route for my cardmaking.